I’ve lived quite the transient lifestyle during the last six or seven years, moving house several times and eventually leaving the UK for a six month stay in the wilds of central Portugal. We forgot to move back though, so now I’m here for good, writing and fixing up an old stone quinta that was derelict for nearly three decades and appears destined to drain my bank account of every single penny I have to my name. Within those various houses I’ve been moved around constantly, from dining rooms to bedrooms and back, then to hallways and kitchen worktops and even a draughty old veranda that was collapsing at one end – Look! You can see the garden through the floor! – and populated by lizards. It’s been interesting, and not a little disruptive, but if you’re gonna write you’re gonna write, no matter the surroundings. Today is my turn on the blog tour for Unforgivable by Mike Thomas and I’ve got a great post from Mike for you all to read a little further down. First though, here’s all the bookish information you need to know! Out now from Bonnier Zaffre, click HERE to get your copy! 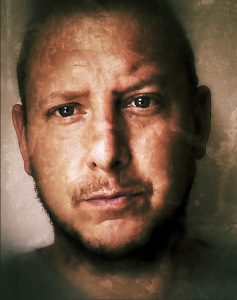 Mike Thomas was born in Wales in 1971. For more than two decades he served in the police, working some of Cardiff ’s busiest neighbourhoods in uniform, public order units, drugs teams and CID. He left the force in 2015 to write full time. His debut novel, ‘Pocket Notebook’, was published by William Heinemann (Penguin Random House) and longlisted for the Wales Book of the Year. The author was also named as one of Waterstones’ ‘New Voices’ for 2010. His second novel, ‘Ugly Bus’, is currently in development for a six part television series with the BBC. The first in the MacReady series of novels, ‘Ash and Bones’, was released August 2016 by Bonnier Zaffre. ‘Unforgivable’, the second in the series, is released in July 2017. He lives in the wilds of Portugal with his wife and two children. Some writers like to have a set routine. Some can’t operate unless they do the same thing day in, day out. You know, bounce out of bed at six in the morning, make a coffee then type away until noon, not stopping until they hit their word count target. Then it’s some lunch and social media and rewriting other stuff and finally a late evening stroll, possibly wearing something corduroy. My writing life, in comparison, is chaotic. I’ve moved house half a dozen times in the last seven years, and within each new home I – for various incredibly tedious reasons like decorating and family coming to stay and that one time I got electrocuted – have had to constantly move ‘office’. As a result, I don’t really have a fixed writing place – at the moment it’s a desk in the corner of my bedroom, which is handy for rolling from under the duvet to my chair – never mind a ‘process’. It’s more of a very rough and ragged list of things I need – or need to do – in order to get a few words out. No writing-based profundity here, I’m afraid! So here they are, in all their glory…. It’s my stop on Mike Thomas’ Unforgiveable blog tour! Woohoo! My thanks to Emily Burns of Bonnier Zaffre and Netgalley for an ARC of this book. So enough of the chit chat- let’s find out more about the author and this book! 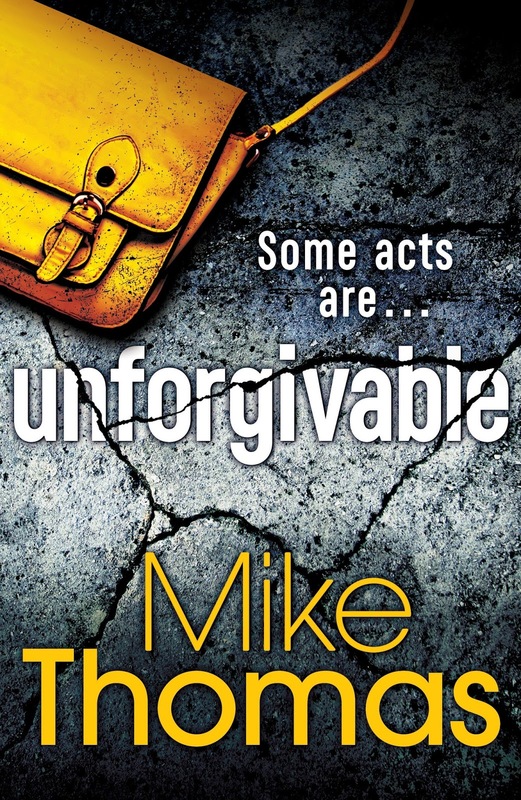 Today I’m thrilled to be the next stop on the Unforgivable by Mike Thomas blog tour. Not only do I get to share my review for this thrilling book, but I also have a fabulous guest post from the author about the places that inspired the locations in Unforgivable. Interestingly enough my son and his wife had their wedding photographs taken in Roath Park one of the settings the author mentions. It’s safe to say I know Cardiff like the back of my hand.